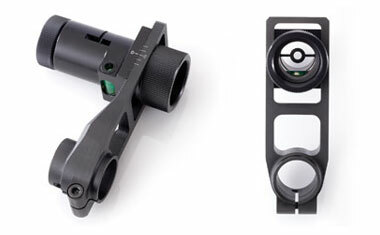 The RPA Trakker® 22mm is a height adjustable front sight incorporating anti-cant level. 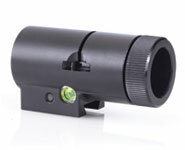 It enables a full range of distances to be shot without changing front sight or moving your rifle cheek piece. 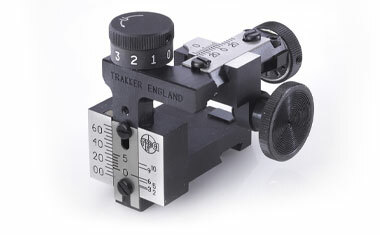 The RPA Trakker® precision rear sight offers a range of “Iron” rear sight’s to suit most rifle types and shooting disciplines, with right or left handed models available. 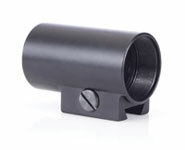 They feature clearly marked knobs which can be easily zeroed and a generous 30 minutes of windage movement either side of zero, with smooth positive clicks and no lost motion. Fixed front sight. Threaded to suit Gehmann or Centra inserts. Slotted for standard 22mm elements. Fixed front sight incorporating anti-cant level. 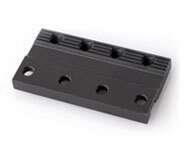 Slotted to accept standard 22mm elements. 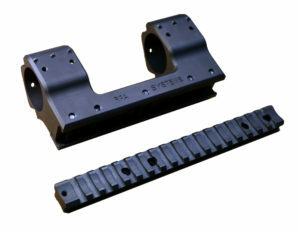 The RPA Trakker® side mount bracket is available to suit most common target rifle actions. 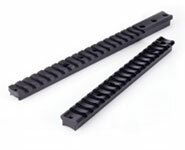 RPA Scope rails are built to suit RPA Quadlock® and Quadlite® actions.